HongKongers are invited to identify the most pressing problems the city is facing right now. 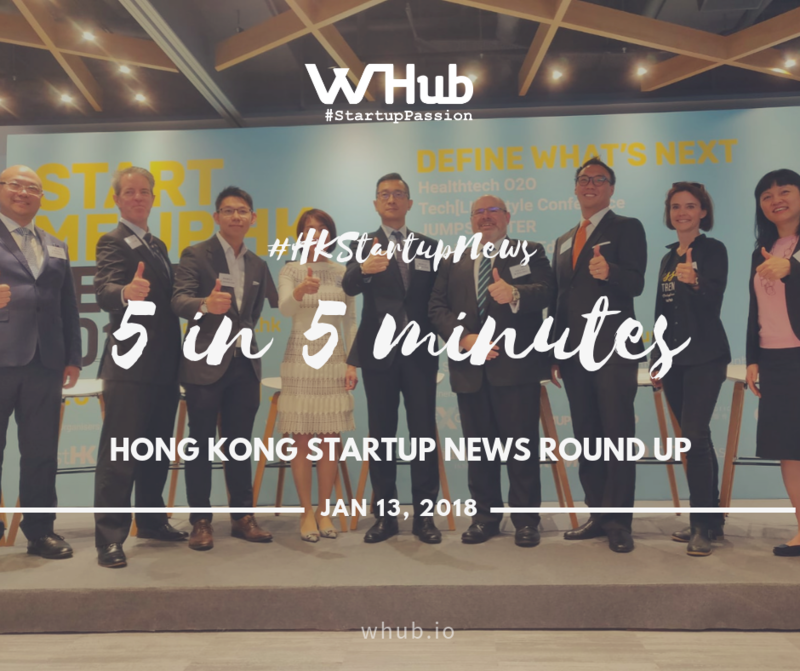 WHub and Explorium HK are now calling out to the Hong Kong population, especially the innovators: startups, entrepreneurs, investors, students and industry leaders to explore what's holding this city back to becoming a more creative and innovative economy, a happier and healthier community, and a sustainable place to live and submit their problems. Anyone - individually or in a team of maximum 4 persons - can submit a problem statement on this dedicated platform from 10 to 17 January, then voting will take place from 21 to 23 January and the selection on 23 to 25 January. If your problem is selected as one of Hong Kong's 5 most pressing challenges, you'll be invited to attend the Startup Impact Summit by WHub on 25 January where you'll have the chance to work with subject matter experts to refine and frame your problem ahead, and a chance to pitch your problem on stage to a panel of elite judges. The winning problem will receive WHub and Explorium HK's support to building solutions for it in 2019. Get involved. What would you like differently about Hong Kong? Submit a problem. According to a recent piece from Bloomberg, the “contest” for physically-delivered Bitcoin futures is heating up, as another contender has entered the fray. This new contender is a Hong Kong-headquartered up-and-coming crypto startup named CoinFLEX, formerly a branch of U.K.’s Coinfloor. This fledgling venture reportedly is backed by ” (former) Bitcoin Jesus” Roger Ver and Trading Technologies International, which is a firm that programs and manages trading software. Mark Lamb, a crypto enthusiast of six years, will be heading the exchange as chief executive. Lamb has purportedly made the decision to delve into offering leverage, as CoinFLEX is purportedly looking into offering physical futures contracts for Bitcoin, Bitcoin Cash, and Ethereum with up to twenty times leverage. These contracts will purportedly be linked to Tether (USDT), a controversial, yet necessary move, for CoinFLEX’s unique settlement system. As part of its development plans, Etisalat (Emirates Institute for Communication), a multinational Emirati-based telecommunications services provider across 15 countries across Asia, the Middle East and Africa, has selected four international firms for a digital scaleup program. The project is called Future Now, and aims to introduce new ways of innovating and collaborating with startups, IoT developers, government entities enterprises and end-users. The four selected startups include 300cubits (Hong Kong), Yitu Technology (China), Com IoT Technologies (UAE) and Tradefin (USA). Hong Kong’s 300cubits has been tasked with reducing the transactional costs that can hamper business process for banks, private organizations and government entities by developing blockchain. As well as business opportunities and the path to scaling-up, the winning firms will have the opportunity to network with a number of key stakeholders and will be granted access to resources and expertise across Etisalat’s client base. The 90-year-old Li Ka-shing’s venture capital firm Horizon Ventures is listed as one of 12 backers that have invested US$182.5 million of first-round funding into the Bakkt Bitcoin trading platform. US-based Bakkt, that has been developed by New York Stock Exchange owner Intercontinental Exchange in partnership with Starbucks and Microsoft intends, within 2019 will open Bitcoin and crypto-currencies up to a wider retail market and to also roll out a Bitcoin futures platform. Bakkt will allow people to buy, sell, store and spend crypto-currencies via Microsoft software, while Starbucks stores will have the capability to convert Bitcoin and other crypto-currencies to US dollars, that customers can then use to make purchases.